Taking stroll around the street of a city is one of the best activities of any vacation. However, it becomes particularly alluring if we travel by bicycle in a group. Another one of the charms of Lima, also known as the Garden City, is to enjoy its open public spaces, among which are the parks of the Miraflores and San Isidro districts, multiple time winners of national and international prizes given to the best green areas. For a long time the known “cyclist tours” have taken place there. Besides being beneficial for our health, this activity allows us explore the area in a more dynamic and fun way. How to be a part of the trail? It is common to see people riding on the bicycle paths of the main avenues and those close to the parks in the areas of Miraflores and San Isidro. 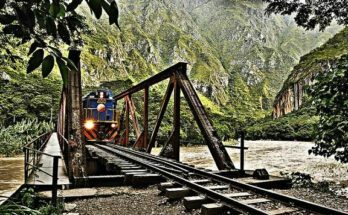 For travelers going for the first time to Lima, there is the possibility of participating in this adventure by hiring a “bicycle tour” service, so we have nothing to worry about and just enjoy the ride. 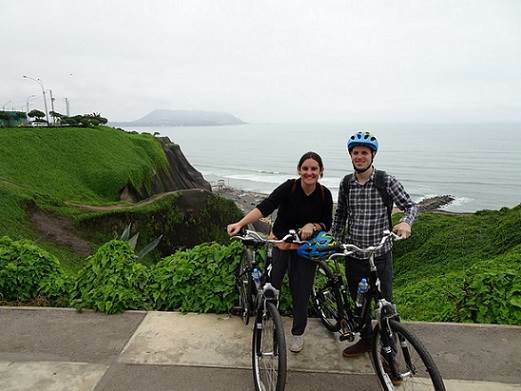 One of the companies with most experience in this area is Bike Tours of Lima, organizing urban bicycle tours through Miraflores and San Isidro. The route begins in the gorgeous Kennedy Park, in the district of Miraflores to then go towards the Huaca Pucllana, the old ceremonial center of the Cultura Lima, located among imposing manors of colonial architecture. After visiting the Huaca, the group of cyclists goes to the old olive forest of San Isidro, known as The Olivar, famous for having trees older than one hundred years of age, and a very large estate house. Back in Miraflores, we make a stop to enjoy some snacks at some of its picturesque cafes. Then, the trip continues by the bicycle path of the piers of the district until reaching the El Faro Park (with a lighthouse in the middle), which is where the trip ends. The bicycle tours take place from Monday to Saturday, from three to six in the afternoon. 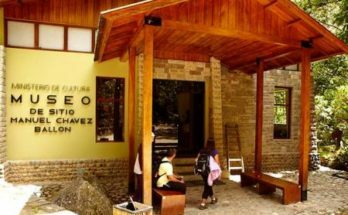 To be a part of them, you must make a reservation over the phone (visit their web page*), and pay eighteen dollars, which include the tour guided by a professional instructor, a light snack, a bottle of water, accident insurance for minors, and the basic cycling equipment (bicycle, helmet and gloves). Before engaging in any sporting activity it is necessary to undergo a medical examination to determine if we are fit enough to do it. Likewise, in order to ride a bicycle it is preferable to use free ride shoes that have a special shock absorber to pedal. 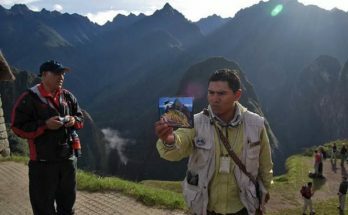 And, if we go to Lima during summer (from December to March) it is also recommended to bring sun block, sun glasses and a cyclist’s hat to wear under the helmet, so the heat is more bearable.